A fully loaded 1-yard or 1.75-yard concrete mixer need strong stopping power. The standard braking system does a great job, but if you want to go to the next level – order your towable concrete mixer with the Disk Break option. 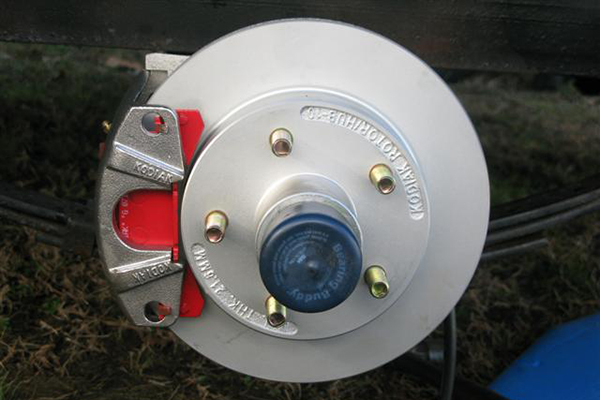 Just like the modern trucks, you can get 4-wheel disc brakes for your Cart-Away mixing trailers.